There is no simple answer to this question, for each case is unique. The amount of compensation will depend on the extent of your monetary costs and physical and emotional losses occurring because of the injury. Under some circumstances, how far the defendant is responsible for your injuries would also determine the amount of compensation. Determining who was at fault for your injury is the first area of enquiry while estimating what your personal injury case is worth. Under Oregon’s personal injury law, the other party is not liable to pay any damages unless they are at least 51% at fault for the accident and the resulting injuries. To begin with, you should ask yourself: “What was the fault of the other party in my accident?” The answers to this question can be varied, and will constitute a fair starting point to estimate how your personal injury case may be worth. The other party may have jumped the red light, for instance, or may have failed to yield the right of way, or may have been driving under the influence. At the same time, there are other factors at play while determining the liabilities associated with the case. If the at-fault driver indulged drunk driving, or drove with extreme recklessness, punitive damages could enter into the equation. In other words, exceptionally outrageous behavior on the part of the other party is likely to increase the value of your personal injury damages. Sometimes, there may be a situation where proving the liability is either extremely difficult or very expensive. These aspects must be taken into account while evaluating the worth of your personal injury case. Compensation is awarded to the injured person (or plaintiff) by the party who is legally responsible for the accident. Such legally responsible party would either be the defendant or their insurer. The compensation award can be agreed upon among the parties involved through out-of-court settlements or ordered by a jury or judge after the case trial. In the following sections, we will discuss the different types of compensation involved in the personal injury cases and how the actions (or the lack thereof) of the injured party could affect their compensation. Most personal injury claims in Oregon fall under the category of “compensatory damages.” A compensatory award is aimed at recovering the victim’s monetary and other losses to the maximum possible extent. The exercise includes putting a monetary value to all the adverse consequences that resulted from the accident for the victim. Some of these damages are easy to evaluate, but some others are more complicated. For instance, medical costs are easy to determine, but putting a monetary value to physical and mental pain can be quite subjective. Let us take a look at the different kinds of compensatory damages in personal injury cases in Oregon. Medical bills are the most obvious monetary loss sustained by an injured person. Therefore, almost all compensation awards reimburse the medical bills associated with the personal injury case. This not only includes the costs of treatment you have already incurred, but also the estimated costs of future treatment and recovery. The second type of compensation award relates to the loss of wages of the injured person stemming from the accident. Once again, this not only includes the income that has already been forgone by the injured person but also any future income losses. Future wage loss is termed as compensation for the “loss of earning capacity” of the victim. A car accident will often involve damages to the property such as vehicle or other valuable objects. The victim is entitled to seek reimbursement for the repairs or the fair market value compensation of the property that was lost in the accident. A personal injury may lead to serious physical pain and suffering. In Oregon, the victim has a right to get compensated for these damages in a personal injury case. The suffering in a personal injury case may not be confined to the physical pain alone. It may also result in severe psychological or emotional distress. This may include anxiety, fear, and loss of sleep. In Oregon, the compensation for emotional distress is included within the “pain and suffering” compensation awarded to the victim in a personal injury case. Injuries may impose physical or mental limitations on the victim, preventing them from enjoying certain day-to-day activities such as sports, hobbies, recreational activities, or fitness exercises. In such cases the plaintiff in Oregon is entitled to “loss of enjoyment” compensation. This damage refers to the potential adverse impact of personal injury on the relationship between the victim and their spouse. This could include loss of companionship and the inability to sustain a sexual relationship. The impact on the parent-child relationship might be considered separately. Notably, the “loss of consortium” charges are often awarded to the affected family member instead of the plaintiff. In a personal injury case where the defendant’s conduct is significantly egregious or reckless, the injured plaintiff in Oregon may receive punitive damages over and above any compensatory damages award. The rationale of such punitive damages is very different from that of the compensatory damages award which it complements. Although the punitive damages are directly awarded to the plaintiff, their real objective is to punish the defendant’s gross misconduct, and serve as a deterrent against similar future behavior. How an Injured Party’s Action (Or Inaction) Can Affect the Compensation Award? The first line of enquiry in personal injury claims is determining who was at fault. Therefore, if the accident was caused partially due to the fault of the injured plaintiff, the defendant’s liability in Oregon will reduce proportionately. Furthermore, any inaction of the plaintiff after the injury may also lead to lower compensation. Oregon follows the comparative negligence standard, which links the compensation amount in personal injury cases to the degree of fault. This means that if you were only partially responsible for the accident, your compensation award will be reflective of that fault. Oregon’s personal injury law expects the victim to exhibit reasonable behavior which helps in the minimizing or mitigating the financial consequences of their injury. If the plaintiff is careless and fails to seek timely medical treatment after the accident, or fails to follow the doctor’s advice which results in worsening of their injuries, the compensation award may be reduced. 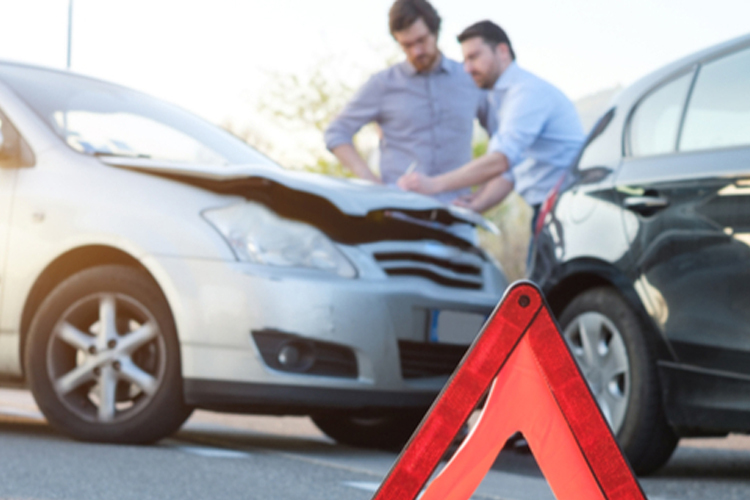 As one of Oregon’s leading personal injury law firms, we at Dwyer Williams Cherkoss recognize the pain and suffering the victims of such accidents have to go through. While we cannot undo what has occurred, we can help you recover the maximum compensation that you rightfully deserve. If you or any of your loved ones are contemplating filing a personal injury claim in Oregon, you should schedule an appointment with one of our experienced personal injury attorneys to receive the right legal advice and support to pursue your claim. Call 1-800-285-8678 today!